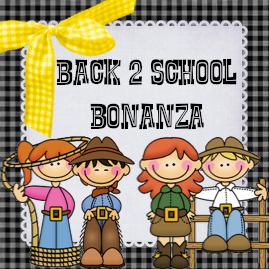 The Silver Lining: Back 2 School Bonanza! Check out this jungle themed giveaway! Creating & Teaching's 100 Follower Giveaway! New Blog Alert!! Check it out! Lesson Plan Diva freebies and giveaway! I need some blog help, please! 12 awesome bloggers are giving away an amazing prize pack! Head over to Erica's blog to check it out!